As a two teen household, we've got a whole lotta streamin' goin' on. Thankfully Google just made sharing our favorite content on the biggest screen in the room a whole lot simpler with Chromecast! My family adores movies, shows, live TV, YouTube, songs, games, sports and more, so we're thrilled Chromecast works with all our devices. Here at ChiIL Mama I've been loving my Google Echo Dot, and so I was excited to be asked to partner up on a sponsored post about Chromecast, now available at Best Buy. Want to share your favorites with a group or watch on the largest screen in the room? This used to require complicated cords and different connectors for our various iphones, Android phones, and pads. Now it's simple! Chromecast is designed to make the most of the apps and entertainment already on your phone. Shows, movies, live TV, YouTube, photos and more are all just a tap away. You don't have to go through circus contortions and working knowledge of electronics to reroute behind your TV. Simply plug Chromecast into the HDMI port on your TV, and you're ready to stream your favorite entertainment right from your phone with just a tap. Watch shows, listen to playlists, and more. And while streaming, you can still use your phone as you normally do. I will say Stranger Things is a family favorite we can't get enough of, and all enjoy watching together. Check out Chromecast for an easy, affordable way to maximize your stream time in a big way! 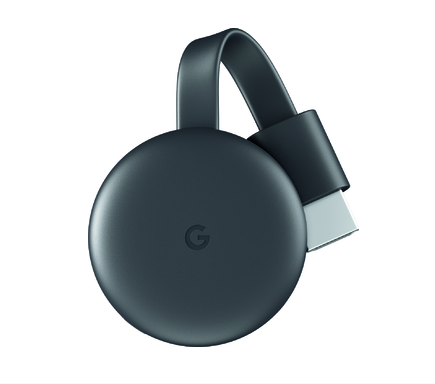 Click here for full details on Chromecast, now available at Best Buy with a pricematch guarantee. Disclosure: It's my pleasure to partner up with Best Buy once again, and Google Chromecast, for this sponsored post. I have been compensated for sharing this information with my readers. As always, all opinions are my own.